CarGurus has 14,017 nationwide Crosstrek listings starting at $12,559. With all-wheel drive (AWD) and high ground clearance, the Subaru Crosstrek falls somewhere between a compact hatchback and a crossover. It’s a popular choice in snowy climates—especially for those who want better fuel economy and maneuverability than a large SUV can offer. Formerly badged as an “XV,” the Crosstrek carries into 2017 with a few notable changes, including minor price increases, a new Special Edition trim, and the elimination of the Crosstrek Hybrid. That’s no great loss—the Hybrid boosted the Crosstrek’s already satisfactory fuel economy by just 4 mpg city and 2 combined, with identical highway mileage. 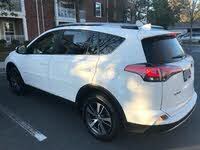 By comparison, the Toyota RAV4 hybrid boasts an increase of 11 mpg city and 6 combined over the standard RAV4. All 2017 Crosstrek models feature AWD and a 2.0-liter 4-cylinder boxer engine—so named because its horizontally opposed pistons are arranged like the gloves of two boxers in the ring. It produces 148 hp at 6,200 rpm and 145 lb-ft of torque at 4,200 rpm. The entry-level Crosstrek 2.0i now starts at $21,695 before the destination charge—up from $21,595 for the 2016 version. It comes with a 5-speed manual transmission, black cloth upholstery, and a Starlink infotainment system, and it receives an EPA rating of 23 mpg city, 30 highway, and 26 combined. Although the base vehicle has only four speakers, it does feature a 6.2-inch touchscreen, a rear-view camera, and some smartphone app integration—but not Apple CarPlay or Android Auto. 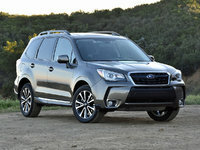 Also absent are add-ons like an automatic transmission, a moonroof, and Subaru’s EyeSight active safety system. In fact, there are virtually no available options except some dealer-installed ones, like an auto-dimming rear-view mirror and extra body trim. Step up to the Crosstrek 2.0i Premium (MSRP starting at $22,495), and you get heated front seats and side mirrors plus some interior trim upgrades. The Premium comes standard with a 5-speed manual, but if you choose to upgrade to Subaru’s Lineartronic continuously variable transmission (CVT) for $1,000, you can add options like EyeSight ($1,995, bundled with an upgraded audio system) and a moonroof ($1,000). All Crosstreks with the CVT are EPA rated at 26, 33, and 29. New for 2017 is the Crosstrek Special Edition (MSRP $25,795), which sits between a well-optioned Premium and medium-trim Limited. It comes in two exterior colors—Pure Red and Crystal Black Silica—and features extras like push-button start and keyless entry, blind-spot detection, and satellite radio. The Special Edition also includes sporty upgrades like black exterior and interior trim, dark gray wheels, aluminum pedals, black cloth seating with red stitching, and red footwell lighting. The top-of-the-line Crosstrek is still the 2.0i Limited, which starts at $25,195. It comes standard with an automatic transmission, leather-trimmed seating, and an upgraded 7-inch infotainment system. Other niceties are side-view mirrors with integrated turn signals, a rear-seat armrest with cupholders, automatic headlights, automatic climate control, and an instrument cluster with a color LCD display. Options include EyeSight, navigation, a push-button ignition, and a moonroof—which come bundled as a package for an additional $2,895. What's your take on the 2017 Subaru Crosstrek? Regal_2711 I have always loved Subaru. 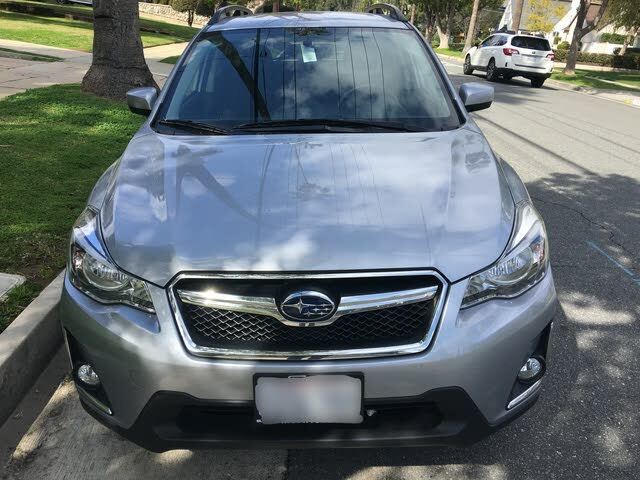 They are dependable, easy to maintain, hold their value and until 2017 Crosstrek models came out they were very stylish! What were they thinking by putting ORANGE stitching on such a beautiful vehicle??? Subaru must have also decided that the seats should be a little less comfortable as well. I'm a diehard Subaru fan but won't be buying this year or until they give the option of something a bit less glow in the dark. TheHorror I like that the Crosstrek is available with some color. The choices in most modern cars is extremely drab. Users ranked 2017 Subaru Crosstrek against other cars which they drove/owned. Each ranking was based on 9 categories. Here is the summary of top rankings. Have you driven a 2017 Subaru Crosstrek?